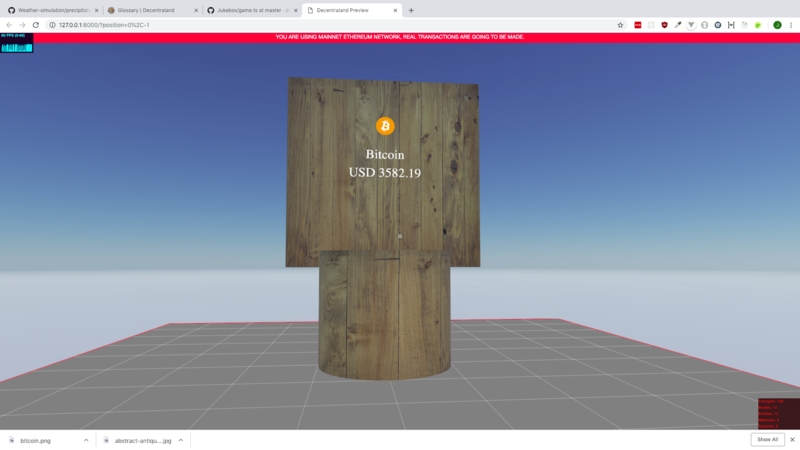 I written a 3D signage in decentraland during v4 SDK, but during that time there's no support on making it deployable to the web. Few weeks ago, they released v5 with a lot of breaking change, one of it is that the "React" style of component based code are no longer working. Therefore, I spend this weekend to upgrade my code from v4 to v5, and here's the result. Still need a bit of styling work, to make it look better, but it's good enough to share about it! Showing Green and Red color on the price when the price increases or decreases.